The contract on experimental design works is likely to be signed soon, a senior Sukhoi official told Itar-Tass. Russia’s Sukhoi aircraft manufacturer plans to sign another contract with India in the framework of the joint project for the construction of a fifth generation multipurpose combat jet, Alexander Klementyev, a Sukhoi deputy director general told Itar-Tass. “We hope the contract [for experimental design works] will be signed soon,” he said. The intergovernmental agreement on this project was signed back in 2007. Three years after, the sides inked a general contract on joint design and production and then the first engineering development contract. Works under this agreement were completed in 2013. “Since then, we have been working on the second contract for experimental design works,” Klementyev said, adding that this was a unique project aiming at long-term cooperation. The Sukhoi/HAL Fifth Generation Fighter Aircraft (FGFA) or Perspective Multi-role Fighter (PMF) is a fifth-generation fighter being developed by India and Russia. An agreement on the project was signed in Moscow on October 18, 2007. 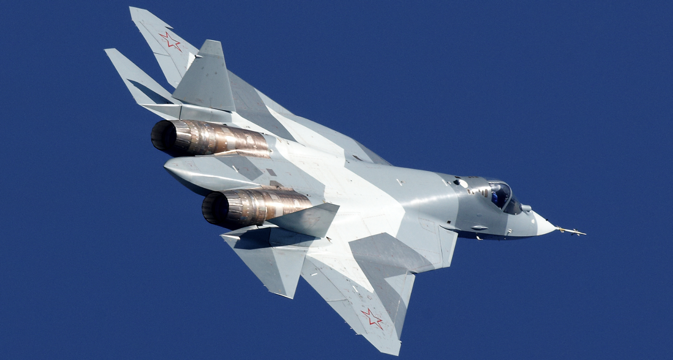 The future aircraft will have a number of differences from its Russian prototype - the PAK FA fifth generation fighter - to adjust it to the requirements of the Indian Air Force. In December 2010, Russian state arms exporter Rosoboronexport, India's Hindustan Aeronautics Limited and Russian aircraft maker Sukhoi Company signed a preliminary design development contract worth $295 million for the new aircraft. The total program is expected to cost India about $25 billion to 30 billion. The IAF had initially planned to order 166 single-seat and 48 twin-seat fighters, but India’s chief of air staff said in October 2012 that New Delhi would now go for only 144 single-seat jets, with domestic production slated to begin in 2020. Earlier this year, the Business Standard reported that the Indian Air Force criticised the FGFA project, alleging that the Russian side would be unable to meet their promises about its performance.